Learning to read is a big milestone in a child's life. It is one of the things all parents feel is necessary and important for their child. Literacy is so important for future success, not just academic success but success in life. It gives you opportunities to get a job, progress in the job market, gain knowledge, improve yourself and increase your self-esteem. It is an important skill that, once you know how, you will have for life. One thing that parents often wonder is what is the best way to teach your child to read. This is particularly the case with homeschooling parents, like myself, as they carry that pressure all on their own; they do not have the support of the school system to help. There are so many different reading scheme book sets out there that it can be hard to choose one. I have tried five different reading scheme book sets over the last few years. Some are phonics based and some are sight word based. Here I will share with you my opinions of how successful they are. But first, let me give you an overview of the main two approaches to learning to read. 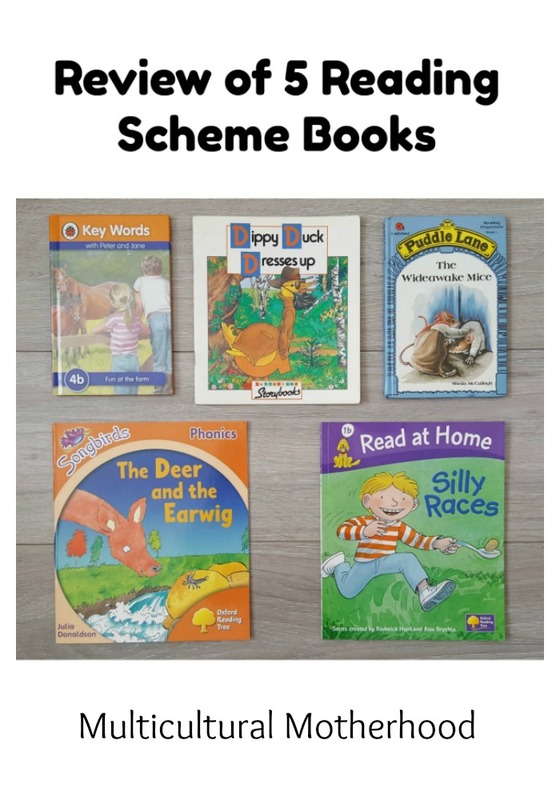 Many reading schemes focus on teaching your child the phonetic rules of the English language in order to start reading. However, there is one major flaw with this approach; the English language is not phonetic. There are some phonetic rules but there are also many words which break these rules altogether. This can make it very difficult for children who are learning to read. They learn the phonetic rules and then they are stuck trying to apply these rules to every word they see. When it does not work they can become frustrated and upset. It is a real hindrance to their literacy skills. Not only does this affect their reading, it affects their writing too. When you ask them to write something you will see a page full of errors where they have learnt to sound out everything phonetically. So what can be done? If you are keen to use these books, make sure you teach sight words alongside them. Explain to your child that although they are learning these phonetic rules, they will also come across many words which do not follow these rules. They will need to learn to read these words by sight. This seems to be the favourite in schools and what has been used for some time. There are five levels which increase in difficulty. The scheme is based on teaching your child the phonetic rules of the English language in order to start reading. However, it does also teach some sight words and contains a section at the end with 'common words' that have been used in each book which is very useful. I am not a fan of the stories in these books which seem a bit dull and uninteresting. I also do not like the names of the characters. Biff, Chip and Kipper just seem a bit too abstract and make the characters harder to relate to. On the other hand, there are some great comprehension questions at the end of each book. These are really useful for testing your child's comprehension of what they have just read and making them think about the story. There are also little games at the end of the books, such as mazes. My children found these really fun and perhaps they act as an incentive for children to read the books as they know there will be a little game for them to play at the end. Also, as the stories are quite short, it means the child can read a whole book in one sitting. The set of books I purchased comes with a useful parents handbook which explains how to use the books for teaching your child to read. It also gives useful tips about how to get your child ready for reading and how you will know they are ready. It mentions games and activities that you can do with your child to practise what they have learnt and increase their enjoyment of reading. It really is a wonderful handbook. I would recommend these books if you are looking for a phonetic based approach that also contains some sight words. The books are interactive and the handbook that comes with the set is extremely useful. However, do be sure to teach your child extra sight words alongside these books. These books are written by one of my favourite authors of children's books, Julia Donaldson. 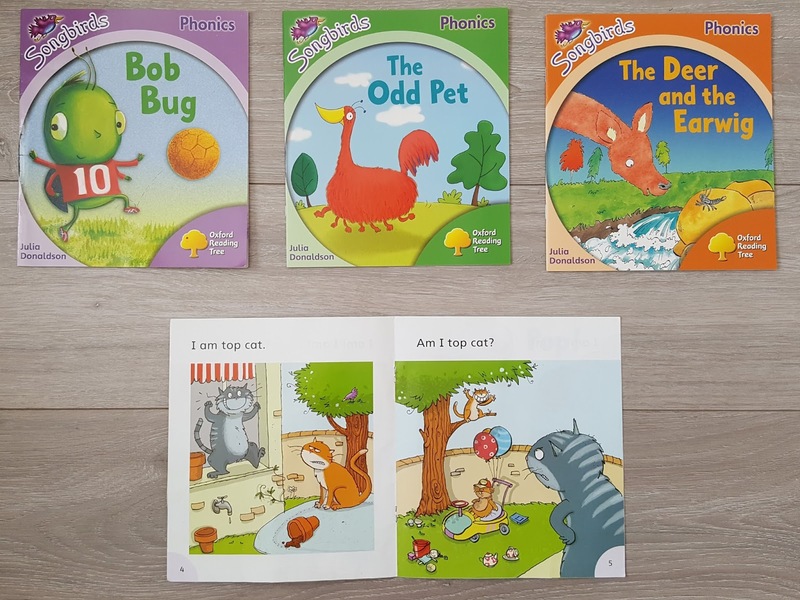 They are part of the Oxford Reading Tree scheme and are specifically written to cover phonics. There are six reading levels and each level contains six books. 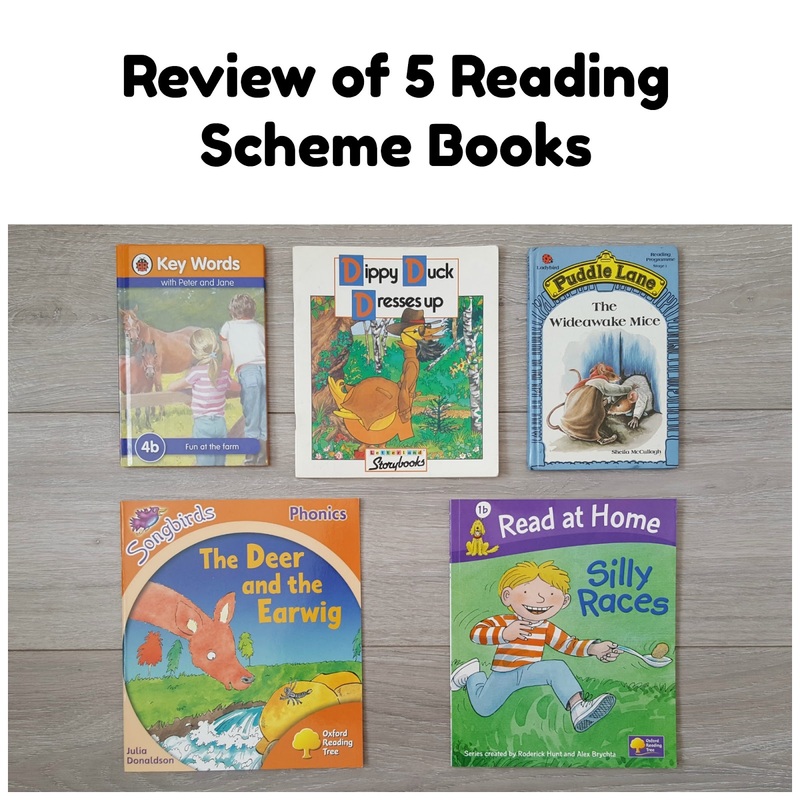 Like the Biff, Chip and Kipper books, there are comprehension questions at the end of each book which tests the child's understanding of what they have just read. There are also activities at the end of each book which help your child to practise the phonetic rules they have learnt in the book. These are a really useful way of checking if your child has understood each phonetic rule and practising helps them to transfer the rules to their long term memory. Something I like about these books is you can also purchase workbooks to go alongside them. Once the child has finished reading the book, they can go through the workbook and practise what they have learnt. The workbooks are really fun and contain colouring pages and stickers too. This is a great book set for learning phonics but it should not be used on its own as it does not focus on sight words at all. Either use this book set alongside another set which teaches sight words or use other methods to teach sight words. These books follow a sight word approach by teaching children the most frequently used words in the English language. It aims to teach children the 100 key words which make up half of the words we read and write. Therefore, by learning these sight words, children will be able to read and understand most sentences quickly and easily. There are 36 books in the complete set. There are 12 series which run parallel to each other; series A, series B and series C. Series A introduces children to new words and series B provides extra practise of these words in different contexts. Series C introduces phonics in a methodical way which makes it easy for children to understand. It also includes some writing practise. New words are written in bold at the bottom of each page and are also presented in a list at the back of each book. This makes it easy for a parent to see which new words the child should be learning. We have made flashcards using these word lists as a guide. The back page also tells you the total number of new words in the book and the average repetition of each word. The stories are close to real life but introduce children to things they may not have come across before. My children find the stories fascinating. My daughter was particularly taken by the story of the main characters, Peter and Jane, writing their name and address on cards and attaching them to helium balloons and sending them off into the air in the hope of receiving letters from the finders of the balloons. This reminded me of my childhood; I remember doing things like this and now my daughter would like to do it too. These books are quite long; around 50 pages per book. However, half the pages are pictures so you are looking at 25 pages of writing to read. This means it is difficult to read a book in one go. We normally read a book over a few days or a week. Overall, this is a great 'learn to read' book series. My children have been enjoying these books a lot and it is great to see them read some harder words right from the beginning. I would highly recommend these books. These books are also published by Ladybird Books and are a wonderful set of books for parents to share with children. These are unique in that they have a pages for the parent to read as well as pages for the the child to read. They recognise that reading books to your child is a great way to encourage them to read and sharing the reading between you can add to the enjoyment. The parent reads the story on the left hand page and the child reads the story on the right. The story on the right is a simplified version of what the parent reads. By listening to the parent read first, it will test a child's listening skills as well as giving them cues about which words to expect in the child section. What I love best about these books is the story lines. 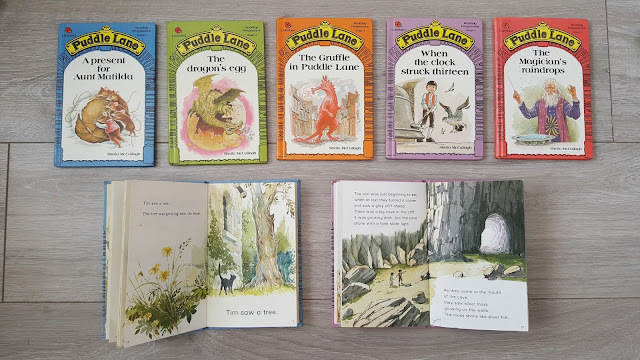 The stories are set in the fictional street of Puddlelane where peculiar and magical things happen. They are exciting and interesting stories which will be sure to capture your child's imagination. There are 5 reading levels and each level is a different colour. 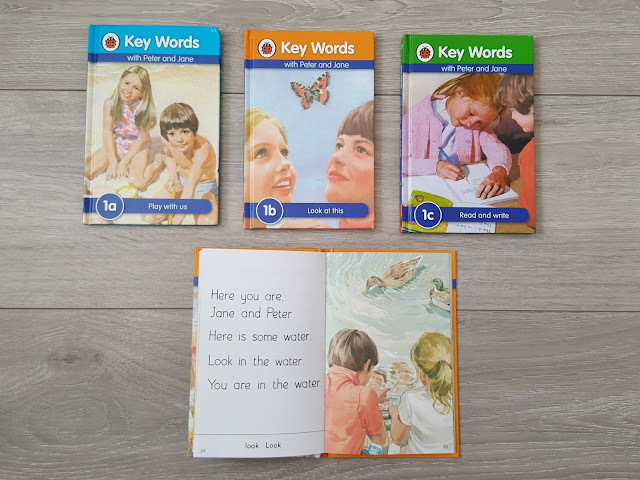 Level 1 uses very few and simple words, however, level 5 is still not too difficult with only a few sentences for the child to read on each page. To increase the difficulty you can ask your child to read the parent sections of the book once they have mastered level 5. 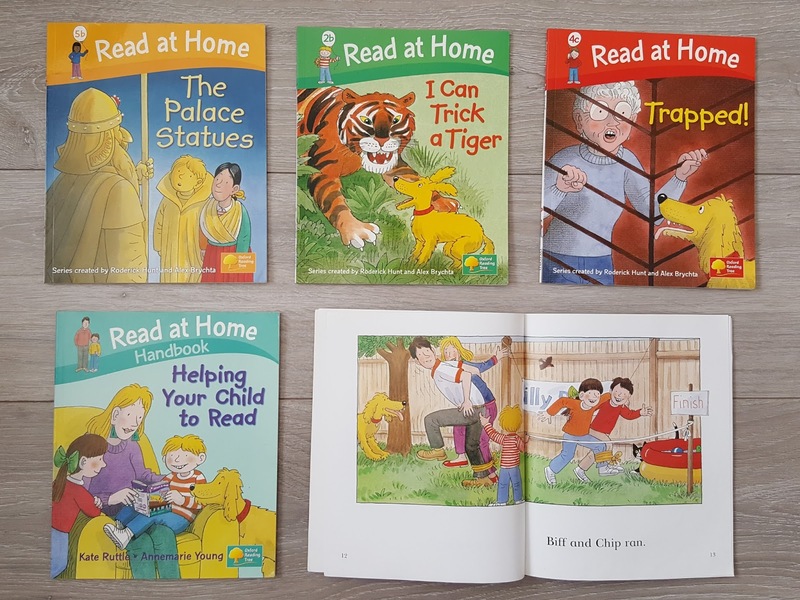 These 'learn to read' books are my favourite in terms of the story line and I love the fact the parent and child share the reading. I find this really encourages them to try to read themselves. I would highly recommend these books. This book set is not a 'learn to read' book set in that it does not have level progression. However, I have decided to include it in my review as I think it is a great way to introduce your child to the letters of the alphabet. Therefore, you could use this as a precursor to teaching your child to read as a lovely way to get them thinking about letters and the sounds each letter makes. These storybooks are designed to be read to the child. Each book tells a story about one or more of the Letterland characters. Letterland is a fictional place where the letters of the alphabet live as a certain character. For example, Oscar Orange, Bouncy Ben the bunny, Zig Zag Zebra and Quarrelsome Queen. The pictures of the characters contain the letter, as you can see from the above picture. Each story follows a different character while using lots of words beginning with the same letter. For example, 'Oscar Orange and the Octopus', contains many words with the 'o' sound, not necessarily at the beginning of a word, such as otter, odd, sock, spotty, bobbing, job, boss and off. While you read you can ask your child to listen out for the 'o' sound. Also, you can ask them to point to all the 'o' letters on each page. This is a great way to get your child thinking about the different letters and sounds and will help them once they begin to learn to read. 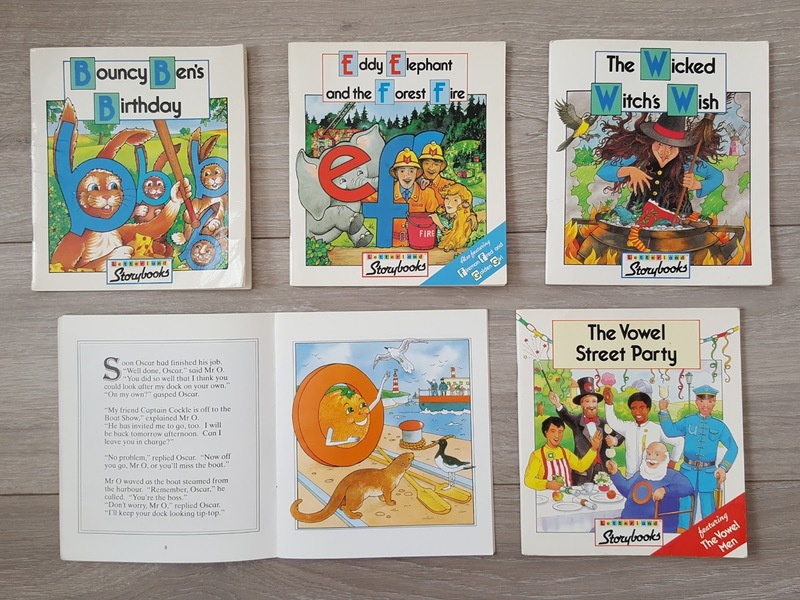 There is also a book titled, 'The vowel street party' which introduces children to the sounds of vowels. The stories are great fun and all my children have enjoyed them. These books are a great way to introduce your children to letters and sounds. Whichever 'learn to read' book set you choose, it is important to use books from outside the set as well. This will stop your child getting bored of familiar stories and characters as well as enabling them to transfer their knowledge to other books. You can take them to the local library to choose their own reading books or purchase books you think they will be interested. Make sure there are a variety of books available at home for them to read and if they do not like one book, try another. Also, continue to read to them which will help to instil a love of reading.